Stampin' Up! 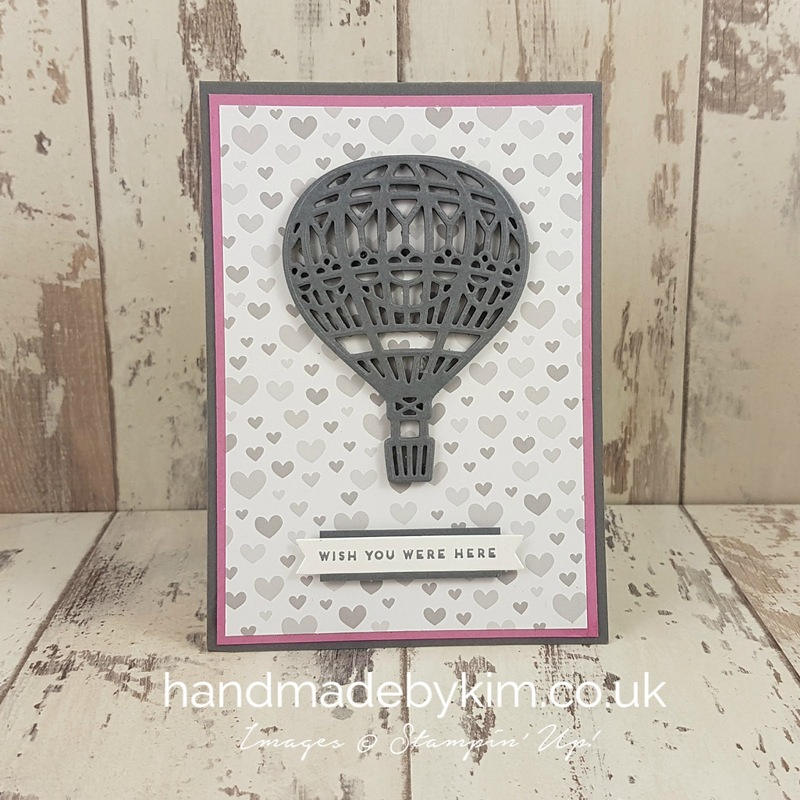 Demonstrator Kim Price - Handmade by Kim: Wish you were here handmade card - using Up & Away Thinlits Dies by Stampin' Up! 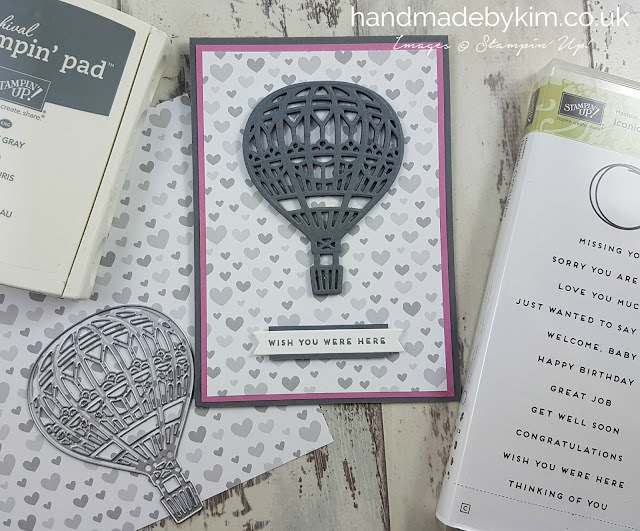 Wish you were here handmade card - using Up & Away Thinlits Dies by Stampin' Up! If you are visiting my blog for the first time, hi! my name is Kim and I live in the UK. 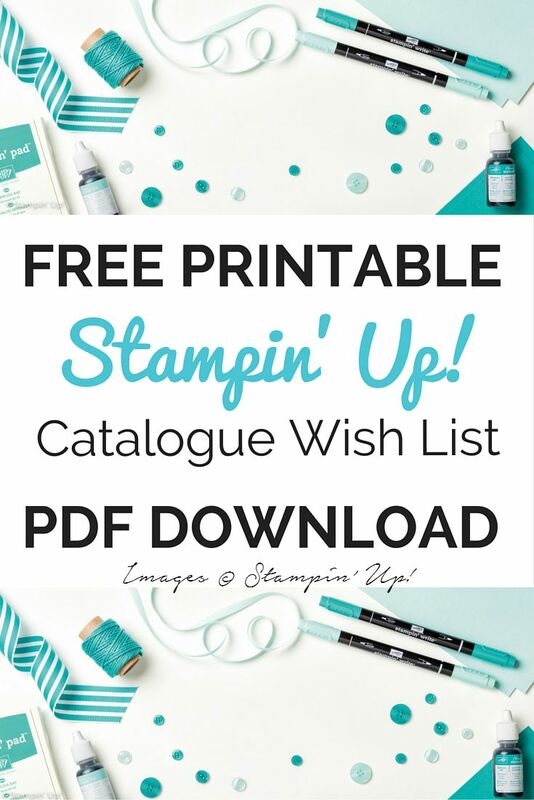 If you live in UK, The Netherlands, Germany, France and Austria, you can purchase Stampin' Up! products from my online shop. If you are visiting from further afield, a very warm welcome to you! I hope you find some inspiration here today. You are more than welcome to follow me through any of my social media channels and keep up to date with my craft creations. 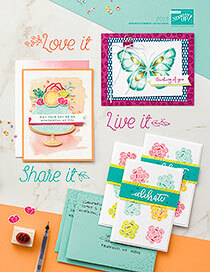 Today I am taking part in Kylie Bertucci's Stampin' Up! Blog Highlight. Our theme for this highlight is travel - looking at the new items in my crafty stash, I knew I just had to use my new Up & Away Thinlit Dies. I hope you like the project I have made with them? 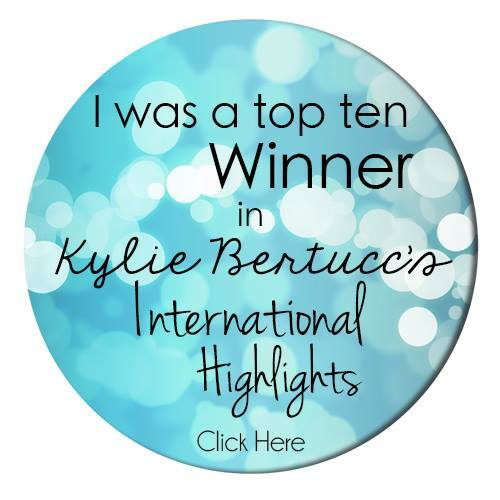 I wanted to take this opportunity to say a massive thank you to everyone who voted for me in the last Blog Highlight a few weeks ago, I was very lucky to finish in joint 6th place and I have now been offered a place in a blog hop taking place next month, which is being organised by Kylie. 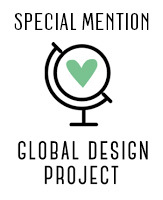 It will feature creations from all of the top 10 winners, how exciting! To make this card, I die cut 7 hot air balloons out of Basic Gray cardstock and layered them together to give the die cut image on this card lots of dimension. To do this I used Tombow adhesive and a foam brayer - just be careful not to get glue on everything!!! For the card base, I have added a layer of Sweet Sugarplum cardstock on top of a layer of Basic Gray cardstock. I then used the A Little Foxy Designer Series Paper for the final layer. I love these colours together. I used the new Iconic Occasions Hostess stamp set for my sentiment "Wish you were here" - just perfect for our theme of travel. This hostess set is available until 31st May 2017 with qualifying orders of £150 or more (don't forget you get a FREE Sale-a-bration item for every £45 you spend!!). 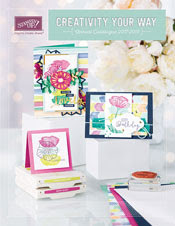 The Iconic Occasions Hostess stamp set can be found on page 3 of the Spring Summer catalogue and is also shown in the final image on this blog post. 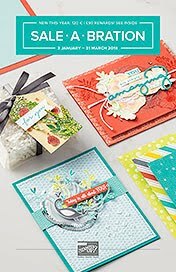 Not only do I love the font they've used for the sentiments, I also love the actual sentiments they have included in this set - I particularly like "Great job" and also "Get well soon", mainly as they are not available in any other the other stamp sets. 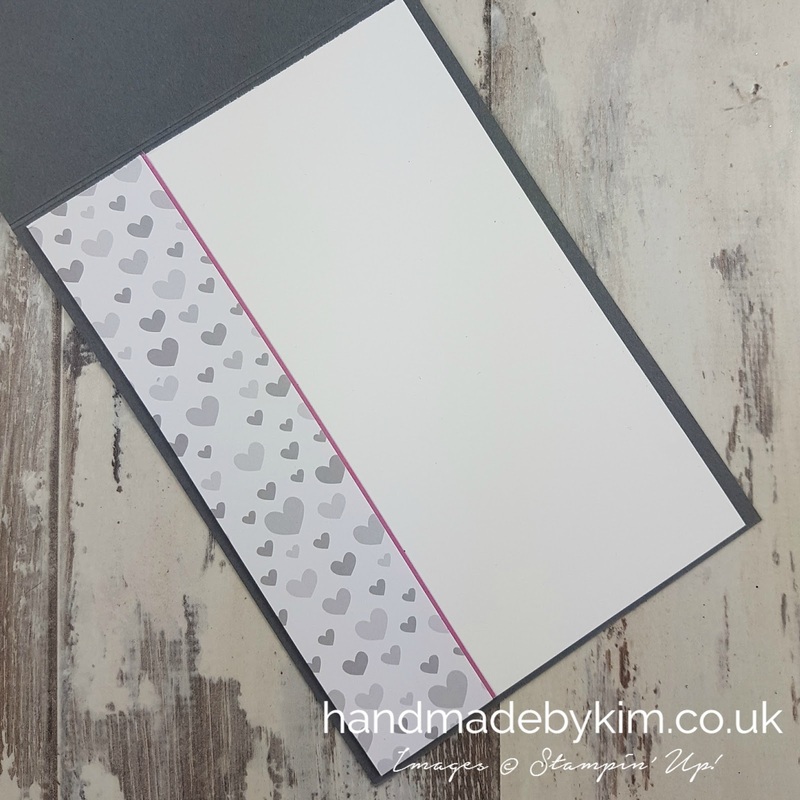 Whilst I love the sentiment on the front of the card, I decided not to add a sentiment to the inside of my card so there is lots of space for writing. Instead, I added a strip of the A Little Foxy Designer Series Paper and a hint of Sweet Sugarplum cardstock. Voting is now live over on Kylie's blog and I would love, love, love it if you could click here to see what everyone has made and cast your votes. 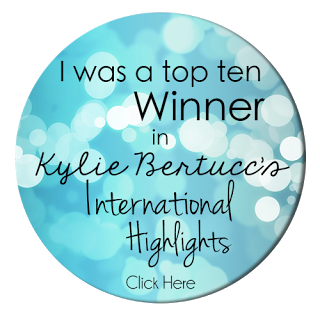 The top ten winners will get to be part of an international blog hop. If you like my project, I would very much appreciate you voting for me. All you have to do is look up picture number 9, check it says my name Kim Price and click the heart in the top right hand corner. You can order all of the products I have used to create this card from my online shop (the Online Shop ink is in the menu bar at the top of the screen) - however if you would like to get in touch to place your order, ask a question or request a catalogue - you can contact me through any of my social media channels found in the sidebar, or you can simply email me by clicking here. Finally, don't forget to subscribe to be notified of all new blog posts to make sure you don't miss the next Blog Highlight or Blog Hop! Click here to subscribe. I really love this card! 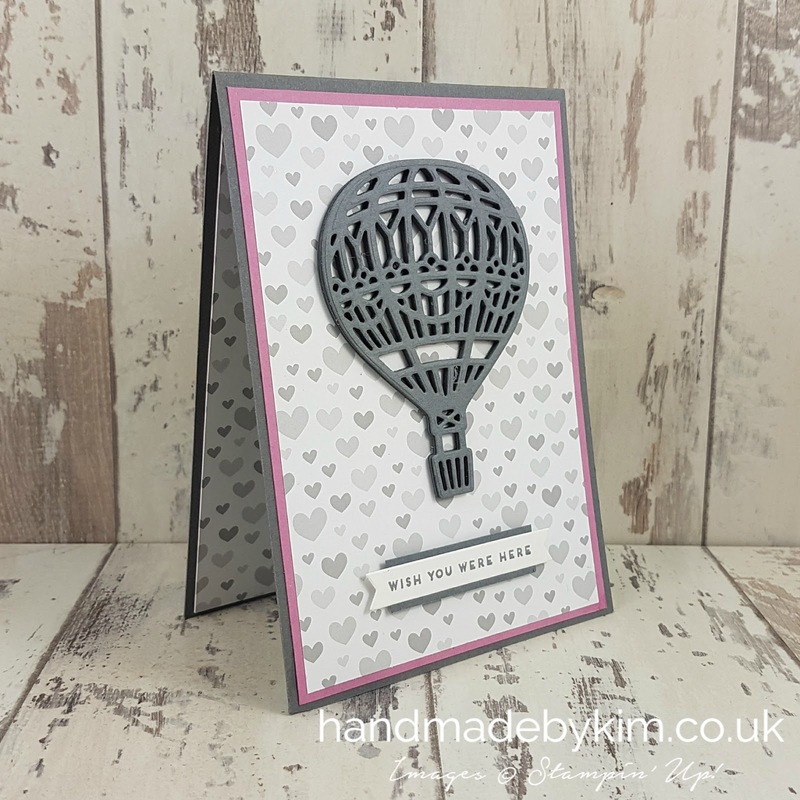 The colour combination is perfect and simplicity of the Basic Gray balloon is stunning while the depth from the layering provides just the right amount of interest. Such an elegant card. I love the dimension you've created with the layered balloon. I had dismissed this hostess set but love the sentiments now that you point it out. You had me at monochromatic! Love love love. Thanks for being part of my international highlights this month Kim.